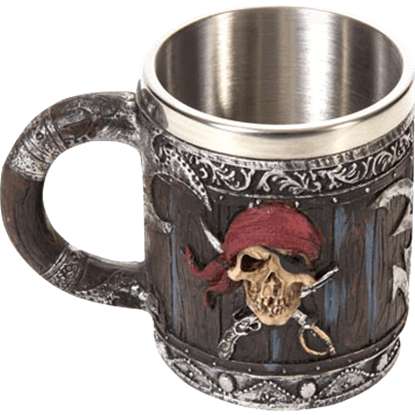 We carry an excellent selection of pirate booty here, making this category a great resource for all of your pirate gifts! 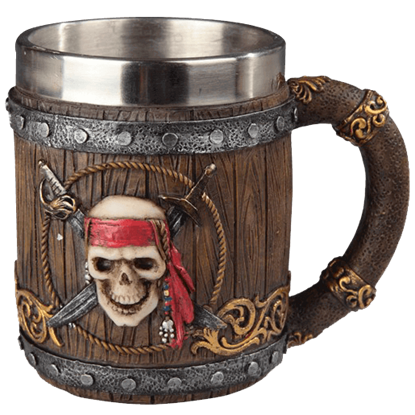 If your friends and family enjoy swashbuckler style, then these pirate knickknacks are sure to bring smiles to their faces. 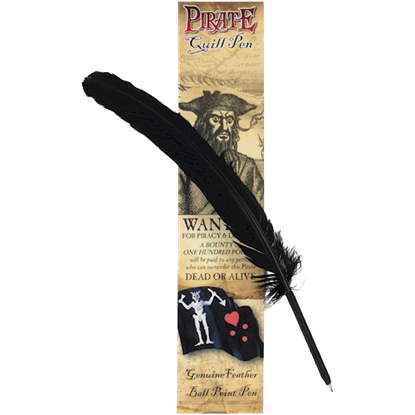 We carry fun pirate keychains, pirate trinket boxes, pirate banners, pirate pencil toppers, and pirate masks that will make fantastic stocking stuffers or Talk Like a Pirate Day surprises. Our pirate key rings show off the Jolly Roger, pirate skulls, skeletons, pirate coins, and other ornaments. 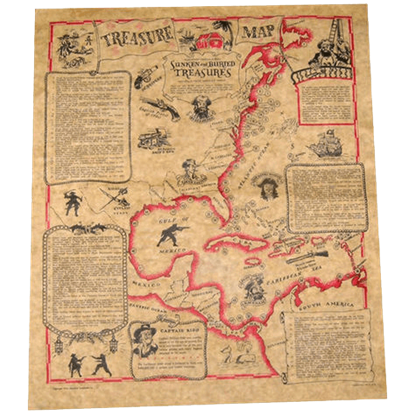 Whether you are looking for interesting buccaneer trinkets to wear, odd bobbles and bits of treasure to carry, or other pirate memorabilia, you will find great options here. Few things are as metal as a skull, and even fewer things are metaler than a metal skull, except maybe metal keys, so putting a metal skull with metal keys is the metalest thing you can do. 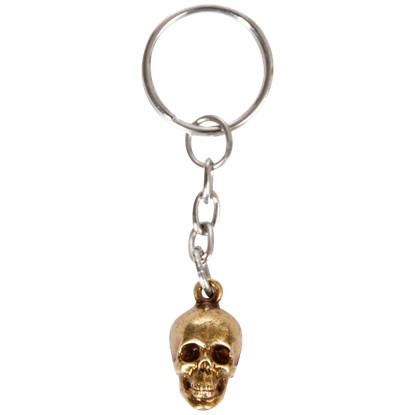 Be the metalest with the Brass Skull Keychain. They say it doesnt matter what place you finished in when you die because all our bones look the same. Unless you came in third place, and then your bones are bronzed. 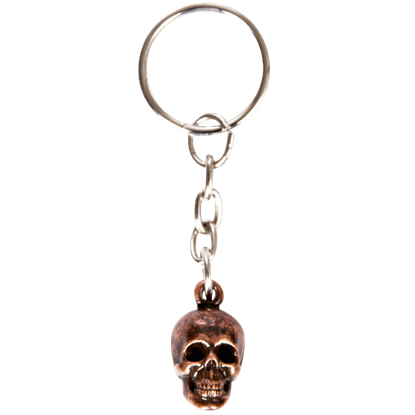 The Bronze Skull Keychain is here to motivate you to win. Who would trust their valuables with a pirate? Well if the pirate were alive, you might have a problem on your hands. 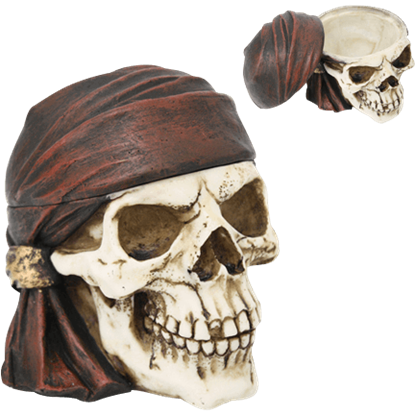 Thankfully, the pirate in this Buccaneer Skull Trinket Box is long gone, letting you safely store your treasures. 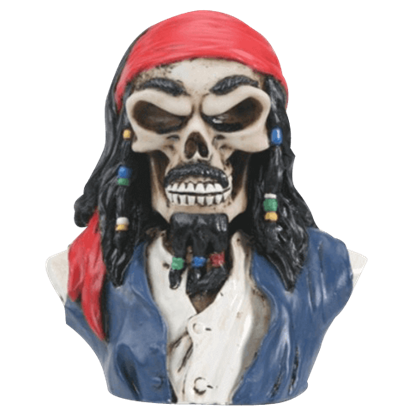 Capture the spirit and adventure of the open seas with the stylish Captain Jack Figurine, which is sure to be admired by all. Your home may be needing a fresh decoration like this statue which offers attitude and humor. 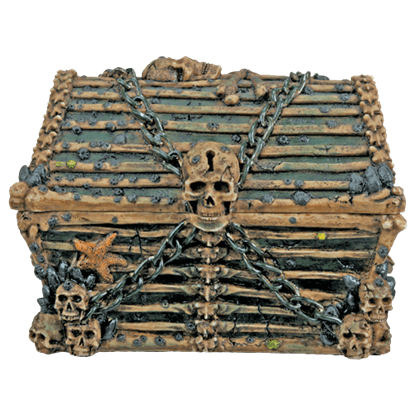 A pirate knows where to hide his booty and now you can keep your valuables safe inside of the Davy Jones Chest. 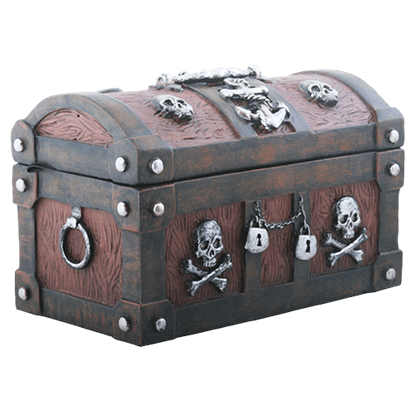 This jewelry box is modeled after a treasure chest and can be a fun accessory to any pirate themed collection. 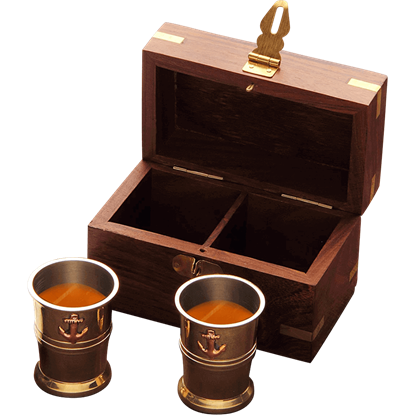 This Double Pistol Chest Box is styled like a traditional treasure chest with hand painted and carved details. Engraved on the lid is an image of two crossed pistols. 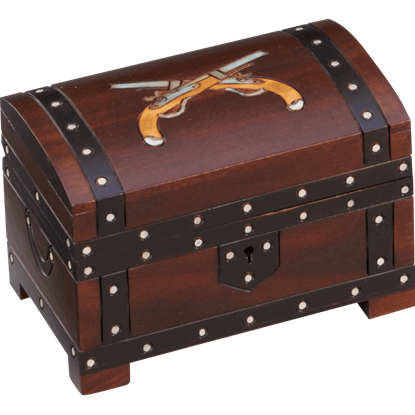 The wooden trinket box has a functional lock and is sold with a key.